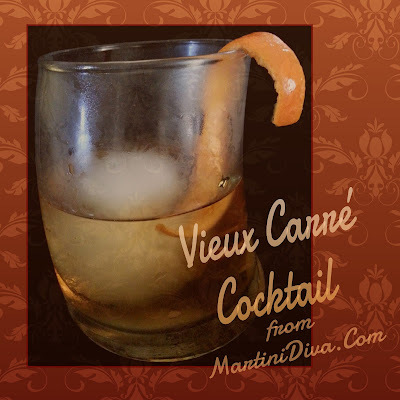 The VIEUX CARRÉ was invented by Walter Bergeron, the head bartender at the Monteleone Hotel (home of the famous Carousel Bar) in New Orleans in the 1930s and is named after the Vieux Carré (the "Old Square") in the French Quarter. It is a drink staple of New Orleans bars and one of the absolute necessary cocktails to try when in New Orleans. Or you can just make one at home. DIRECTIONS: Add the rye, cognac, vermouth, Bénédictine and both bitters to a mixing glass. Stir until chilled. Strain into a chilled rocks glass, rub rim with a lemon twist then drop the twist in the cocktail and serve. Now you're ready for Mardi Gras. Laissez les bons temps rouler!